The incident occurred last year at ept london. My friend brought chino into our room to hang out and play some online. This was the first time I met him but obviously knew about him from all his tv appearances and from seeing him playing all the big tournaments. It was towards the end of the trip and there was only the turbo high roller left on the schedule. He claimed that he needed stars money so he can directly buy in to the event and would swap ftp money in return. He also says that his boy Michael Mizrachi needs the same hook up and tells me, after calling him, that I will be getting a xfer from the grinder on ftp for the both of them. This is after him shipping the players championship and final tabling the main, so I obviously thought that there would be nothing fishy about this transaction. I agree to this and ship 20k to him and 20k to grinder so that they can buy in in the morning. Xfer doesn’t go through because it was the first time I would be xfering to their accounts and stars support was busy. Tournament is about to start so I have to go the stars desk and ask them if they can manually allow the xfer to go through. They get the money – everything is all good. I bust and later that day I see stars shipped 40k to both of them instead of 20k each. They made a new 20k xfer and after that was processed the other xfer was then able to then go through they tell me. I’m then make a big scene at the desk but they say they can’t do anything. I get on my flight back to Canada later on that day and get home to see that Chino has come 3rd in the event for 150k. I text both of them to see if they got double the planned amount and both of them confirm this with me. So I think all is good lol – but nah. Grinder ships me back the 40k and says I never agreed to vouch or send for Chino. 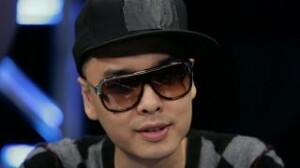 Chino then becomes very hard to get a hold of and is making all these excuses as to why he hasn’t shipped on tilt yet. After weeks and weeks of trying to get my money I finally get a text from his saying I’m broke and I can’t get you the money… lol wtf? Dude, you cashed in the event I got you into for 150k and you don’t have the courtesy to ship back asap? Grinder texts me and says he can’t do anything and that he’s gotten Chino out of these holes in the past but is done with it now. Chino still “owes” me 40k almost a year later. I put that into parentheses because he flat out stole from me and it’s at the point where I don’t expect to see my money back. He flat out stole from me and had no intention of swapping ftp money with me. I waited awhile to out this mainly because I thought there would be a better chance seeing the money if I kept it low key for awhile and gave him time. So not only did Molson loan Chino the money, and then have the unfortunate luck of having sent double, but despite an immediate $150k payday Chino still refused to pay! This is similar to the tale recounted by Ben Lamb from the 2011 WSOP, where Chino decided not to pay Ben despite showing him the money before they placed the bet! This entry was posted on Friday, August 12th, 2011 at 12:26 pm and is filed under Poker News. You can follow any responses to this entry through the RSS 2.0 feed. You can leave a response, or trackback from your own site.